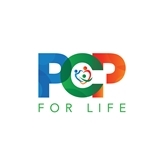 PCP for Life (Houston) - Book Appointment Online! We, as guardians of your health care acknowledge the trust that you, as our patient instill upon us. We promise and commit to meet and exceed your expectations in all areas or our interaction with you.